Recap: It’s been five years since a serial killer was on the loose in a small town in Maine, but that doesn’t mean the serial killings are over. When a massive St. Bernard chases a small animal and becomes rabid, no one is safe. The problem is no one knows the pain he’s feeling. No one know he’s sick. So his owner, Joe, lets him roam around the property. Joe’s son and wife, Brett and Charity, leave town to visit her sister. By the time Donna and her four-year-old son, Tad, go to Joe’s house to have her car repaired, Cujo has already killed several people including Joe. Donna notices he’s rabid right away; by this point, he’s become more sick and his red eyes and foaming mouth prove as much to her. She has no choice but to stay in her car with her son but the car is in such disrepair, it won’t start. The July heat doesn’t allow them the fresh air they need, and they have no access to food or water other than what they’ve packed. Because it’s 1980, Donna has no cell phone and no way to get help. As she waits for a postman to come, for the police to come, anything, her husband Vic is away on business, trying to save his company and contemplating how to save his marriage after he learns Donna had cheated on him. Ultimately, no matter how much he wants to, Vic can’t quit Donna and when his calls go unanswered, he calls for help only to find the devastation Cujo has left behind. 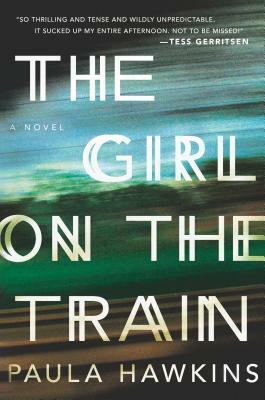 Analysis: For my first Stephen King novel (I know, I know, it’s crazy), this was phenomenal. I was more than pleasantly surprised by the character depth and development he offered throughout the novel. It’s much more than just a “horror novel,” which is what I was expecting. Cujo is a monster, but he’s a completely plausible monster and King interestingly takes us inside the rabid dog’s mind as well as Donna’s heat delirious mind, and Vic’s marriage obsessed head as well as many others. This level of character depth and plot thickening allows for a slow build until Donna and Cujo are left no choice but to face off. For days as I read the last pages of the book, I found myself repeatedly muttering “Please don’t let Donna die.” King made me care. It’s the stuff real horror novels are made of. MVP: Vic. While Donna’s a badass, it takes her a while to get there. Vic instinctively and instantly knows something is wrong and uses his intelligence and logic to break open what’s going on and attempt to make a rescue. Get Cujo in paper for $14.56. Or get it on your Kindle for $10.99. Recap: Anna Ray has a secret. For years, she’s carried it around with her, and every on February 17th, she relives the same traumatic incident from her childhood that she can’t talk about. And then she relives the other traumatic incident from her adulthood — the day her husband killed himself. Those two deaths have permanently cursed February 17th for her, only to be made worse when yet another person she knows well dies on the very same date. Her cousin, Jeannie, has already flown in to stay with her for the week that haunts Anna so much. Now the two of them together become wrapped up in a murder investigation a professor at the college where Anna works. He just so happened to have had a crush on Anna and used to date Jeannie. Investigators won’t leave them alone, even as one of Anna’s students becomes a prime suspect in the case. But the date and the baggage of February 17th also won’t leave Anna alone, and ultimately she has to come to terms with what this all means for her. Analysis: Author S.G. Redling does a good job of showing us how torn Anna and Jeannie’s characters are and how much baggage they really have. But with all that baggage, it was frustrating to me that the reader doesn’t learn exactly what happened in Anna’s past until the very end. I think it would have made the story’s climax more climactic had we had more insight beforehand. The details about that traumatic childhood incident also could have been explained more plainly — I found that section a little confusing and had to re-read it several times. That said, Redling builds great suspense as the end of the novel nears, and it has a very Gone Girl thriller feel. The twist at the end is great mystery writing and exactly the kind of twist any reader hopes for. The relationship between Anna and Jeannie is also great, though I found it hard to believe that growing up, Anna never told Jeannie exactly what happened on that February 17th of yesteryear. MVP: Jeannie. She’s a bit of a hot mess, like Anna, but she’s there for her. She’s a good role model for Anna and completely nonjudgmental, which is exactly the kind of woman Anna needs in her life. Libby Day didn’t have an ordinary childhood. She grew up alone — not because her parents both died, nor because she was left behind, but because her mother and two sisters were murdered by her brother. “The Satan Sacrifice of Kinnakee, Kansas” is her claim to fame even 25 years later, and in many ways, the murders still rule her life. She spent decades surviving off money earned through life insurance policies, donations and book sales from the memoir she wrote. Now her money is running out. Her brother is still in jail. They still don’t talk. And Libby hasn’t started a new life because she can’t let go of her past. But she then learns a “Kill Club” exists, where people investigate some of the nation’s most infamous crimes and murders. The Day murders are a favorite in the club. 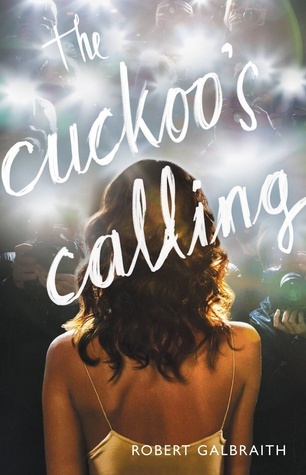 When Libby realizes she can take advantage of the club by accepting money from them in return for speaking to other people associated with her brother’s murders, she does it. She is desperate for money. But she soon realizes that most members of the “Kill Club” think she’s weak and a liar. They believe her brother isn’t the killer. Being seven at the time of the murders, Libby doesn’t remember much, so she sets out to re-investigate the murders herself and encounters an entire secret history of the Day family that she never knew existed. 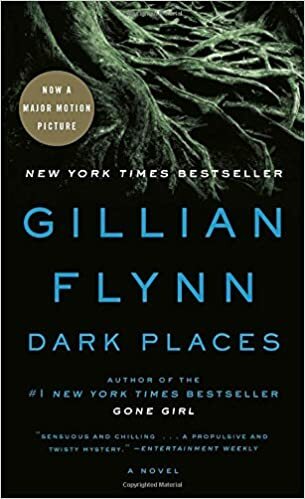 Gillian Flynn’s Dark Places includes many of the same things that readers liked about her more famous bestseller Gone Girl: rotating — and untrustworthy — narrators and perspectives, suspense, mystery, a big twist and general creepiness. Gone Girl has its bloody, gory moments, but Dark Places trumps those. The killing scene is gruesome, and there are sections about sacrifices to Satan that can’t help but cause goosebumps. Generally speaking, the film does a good job of portraying the same creepiness the book offers, but still doesn’t compare. Get Dark Places on your Kindle for $7.99. Or in paperback for $8.33. Recap: An archaeological dig in Afghanistan is where we find Professor Thomas Lourds and his friend Boris. Boris has recently discovered a set of scrolls, said to be the scrolls of Alexander the Great. But they’re written in ancient writing — writing that Boris cannot read or understand. That’s where Professor Lourds steps in. Boris believes the scrolls will lead them to the tomb of Alexander the Great. But before Lourds can get a good look at the scrolls, their archeological group is attacked. Soon an all-out battle takes place, leaving Boris dead and Lourds to work alongside a young Russian newspaper reporter, Anna. It becomes clear to them that someone — particularly a Russian ex-military man — is after the scrolls and wants to see the two of them dead. To add to the hysteria, President Nevsky, of Russia, has invaded Ukraine, with plans to bring back the USSR. Professor Lourds’ task of revealing the meaning of the scrolls has become a matter of life and death. Not to mention, it’s the only way he can honor Boris after he has died. But can he uncover the meaning? And do the scrolls, in fact, lead to the grave of Alexander the Great? Analysis: The format, pacing and writing style in Charles Brokaw’s The Oracle Code is very similar to Dan Brown and his Robert Langdon series (The Da Vinci Code, Angels and Demons). Even the character, Thomas Lourds, bears striking similarities to Robert Langdon — though the knowledge of symbols is replaced with a knowledge of ancient languages and mythology. While enjoyable, I couldn’t help but compare the novel to Dan Brown’s work. What I found is that Brokaw took the action that existed in Brown’s Angels and Demons, but left out much of the analytical research and explanations of The Da Vinci Code. That was a good move on Brokaw’s part; it certainly kept the story moving. That being said, I found myself hoping for more explanation of Lourds’ work. Brokaw presented several scenes in which other characters comment on Lourds’ sleep-deprived state. He explains that he was up for hours working on the scrolls, and he shares what he learned from them. While it was great to finally learn what was in the scrolls, I wanted to know what Lourds was doing in those late-night hours to interpret them. How did he figure out the language and the scripture? The last moments in the book also felt rushed, making it a bit difficult to keep up. The epilogue, however, does a good job of wrapping up the few subplots that the last chapter seemed to bypass, certainly leaving it open to yet another Code book with Thomas Lourds as the leading man and a historical mystery as the leading lady. MVP: Anna, the reporter. A complex character with a shocking story line, Anna personalizes the story that’s otherwise about a set a scrolls. Her courage is commendable and her loyalty to getting the scoop admirable. Get The Oracle Code on your Kindle for $2.99.